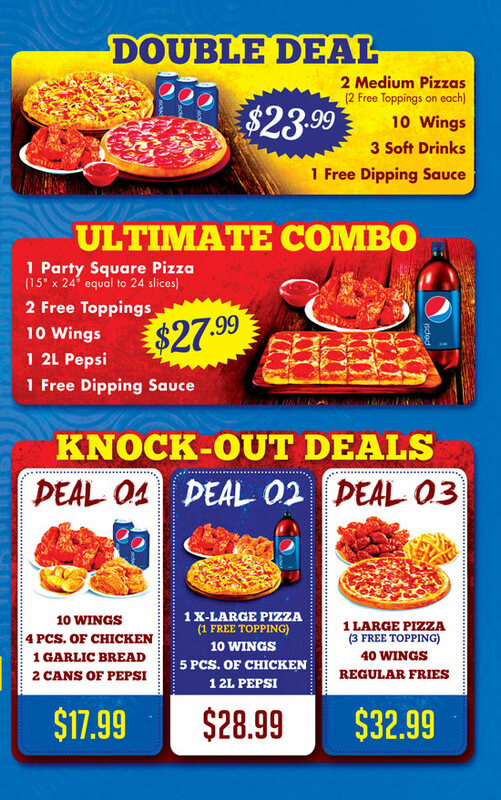 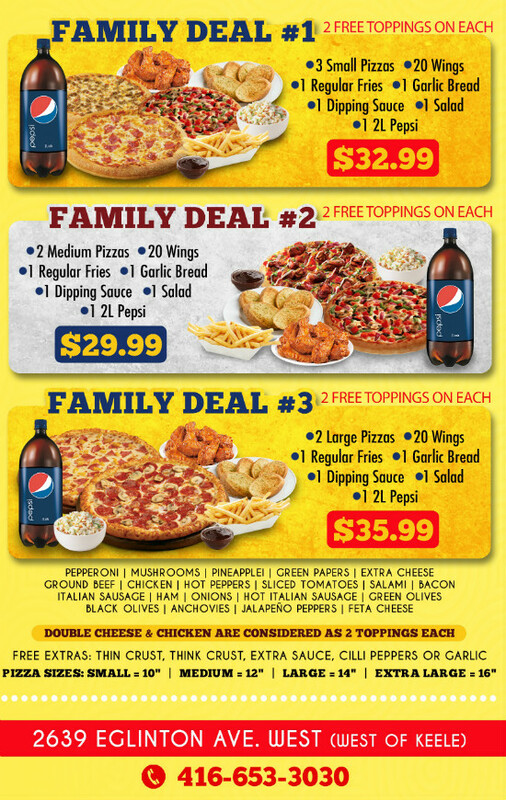 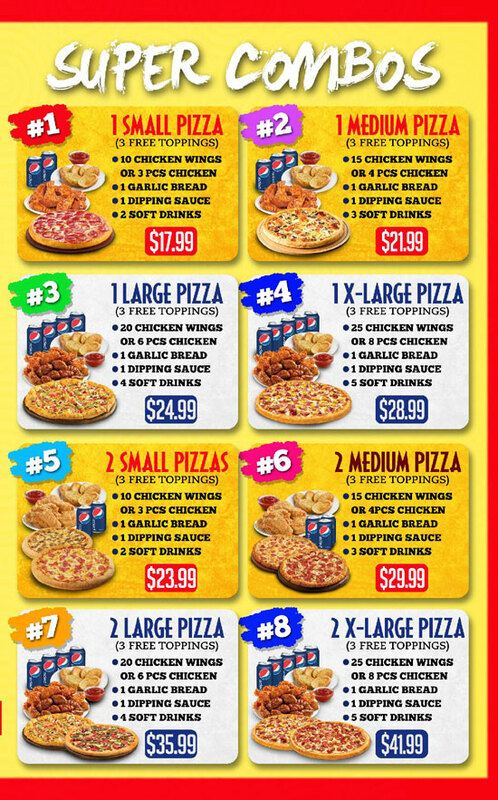 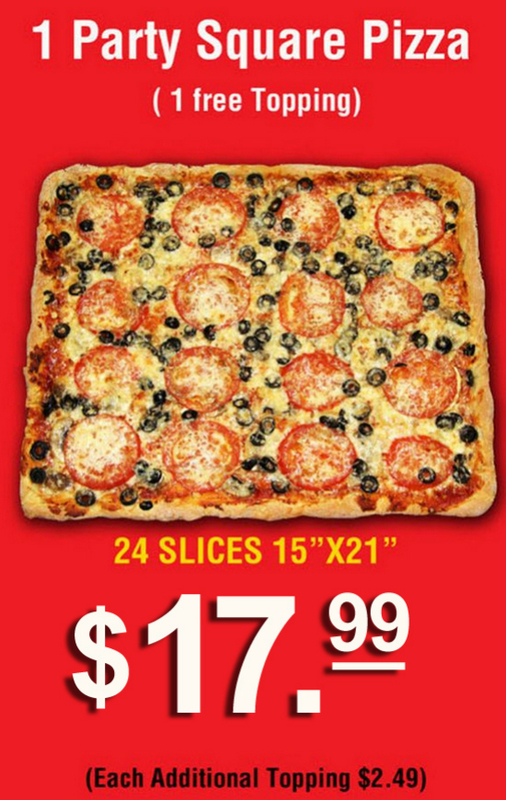 Triple Triple Pizza & Chicken wants to help you save money on your favourite foods! 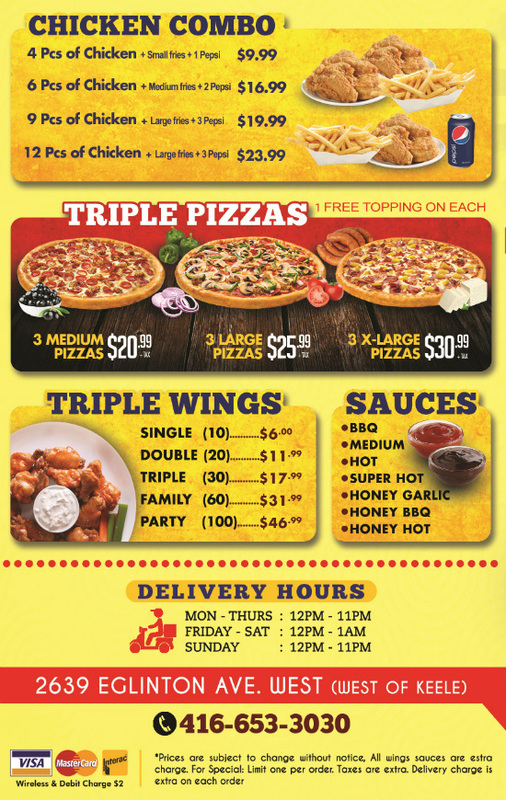 Take a look at our promotions and give us a call to learn why we’ve been Toronto’s favourite takeout and delivery joint for more than a decade. 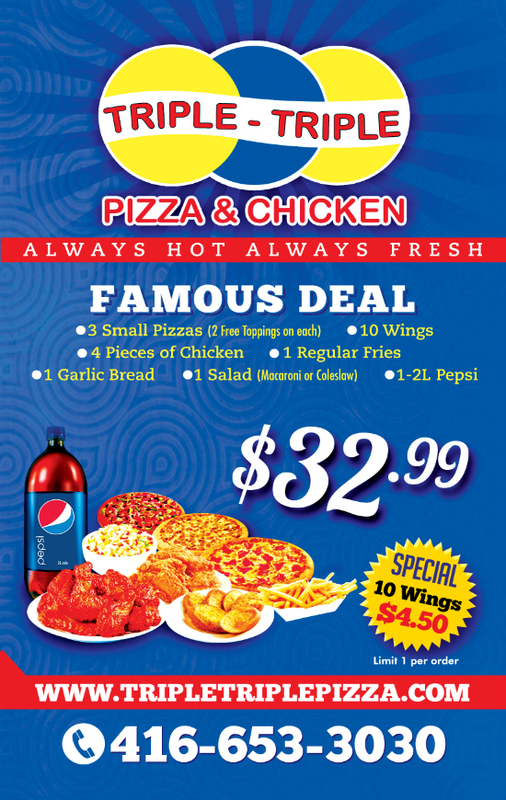 At Triple Triple Pizza & Chicken, your satisfaction is our top priority! 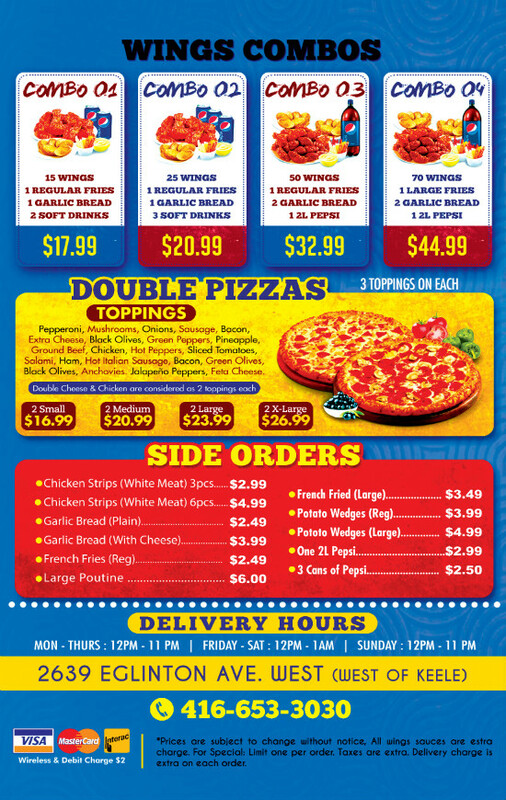 We’re a family-owned company, committed to serving some of the tastiest foods in Toronto. 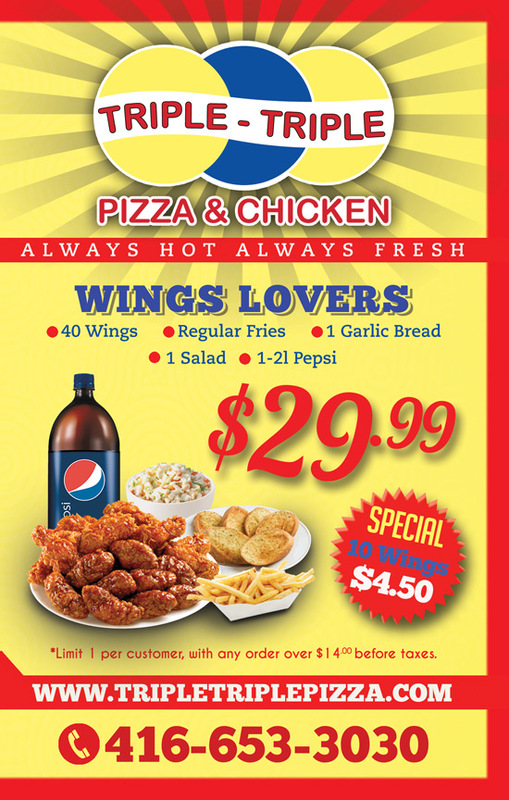 Whether you want a small meal for you and someone special or enough food to feed a family reunion, work luncheon or club meeting, we have you covered!